texashach4homeschool | What I know I've learned from other homeschoolers. On this day in 1492, Columbus set sail on an exploration. In the past 40-some-odd-years, I have watched technology explode. So I am in awe of the explorers and adventurers that would set sail in a ship in unknown waters, and onward to unknown lands with only a vague inclination of what he hoped to find, without the aid of Google Maps. As a homeschool mom, and a lover of books, it’s an adventure to the library and some downloads, to share Columbus and his voyages with the kids. As mine are older, I just might have to do my own lapbook. It won’t be the first time! Enjoy the attached post from my sister page. There are so many resources, so have fun with it!! Good night! Waiting on PSAT scores is interminable! It’s electronic people!! Why does it take so long?! Ok, so maybe I need to calm down. Maybe. It’s only been about 4 weeks since my #1 son survived the taking of the PSAT. There’s no pressure, you know. Just means College. Or NO college. Right?! No pressure! It is so sad to me that we work so hard in homeschooling to make it about the education, and not about standardized tests. And yet we have been brought low by the PSAT-NMSQT. We focused on practicing for the test. We feel confident in our test taking abilities. And yet, one bad day could be disastrous. And the patience-waiting correlation is in a downward spiral. So here’s to waiting patiently. And praying for that most awesome of scores. And a bright future for #1 son full of opportunities. AND while I wait, I’ve been trying to create new projects and new opportunities, because, well…. That’s how I roll. Have to keep busy, or the above insanity ensues. If you’re in the waiting, what do you do? LMK! ** this is a republish from my other site HERDistribution.com. I recently published the following post on my business site. PSAT testing should not be missed, whether you use it to practice for the SAT or hoping to be awarded National Merit Scholar. You can click through, and read about how to prepare for and find information for taking the PSAT. HURRY! You need to register NOW if you want to catch this OCTOBER’s test date (this is critical for High School Juniors). You might know by now, this is not my favorite question… but it is the most popular question when I am in the bookstore, as every child and family are different. What works for one child, will not always work for another. In my limited opinion, the above is true, except for test taking. Every child should do better if they PRACTICE, and practice some more. The SAT can be taken multiple times, and there are many resources for practicing. So I just wanted to share with you what we accomplished within our homeschool (though the method is recommended for any child: public, private or home school). Test Prep Seminar or Workshop – Although many co-ops offer math or essay workshops, College Prep Genius (affiliated link) has been popular in our area. My co-op, Christian Educators Resource Center, even offered the workshop until 2016 when the NEW 2016 SAT came out. My oldest Logic Smart son attended this live workshop and received the workbook on paper. As the new material was still being edited, he has access to the eTextbook (Kindle) and Seminar Videos through an on-line account. During the seminar – they completed a series of PRACTICE questions. From Amazon, we purchased the NEW 2016 SAT Test Prep book published by the College Board. Using KHAN Academy’s SAT app, my oldest was able to complete four (4) PRACTICE tests, scan them into the app, and receive immediate feedback. Princeton Review’s Test Center (Plano, TX) -Offers weekly and monthly classes, and test PRACTICE for SAT and ACT. He was offered an opportunity to take the SAT PRACTICE test for free through Princeton Review in April 2016 and again in April 2017 (MORE PRACTICE). Official SAT Test – Students can take the SAT as many times as they like. Although we consider it just PRACTICE, it provides us an opportunity to see if the methods are working. What does all this PRACTICE mean? My oldest Logic Smart son was able to improve his SAT score by 50-100 points, every time he completed it (officially and unofficially). Because the SAT and PSAT have time limitations, and they are so important, many students have Test Anxiety. Although not all of the Anxiety can be cured with practice, being familiar with the test, and what is expected, can help many students alleviate test anxiety to a workable level. PRACTICE, PRACTICE, PRACTICE. Attending workshops whenever they are available, taking PRACTICE tests at home, and taking the SAT at least once a year (starting in the 9th Grade), can go a long way to having improved scores. If you haven’t started early, then I highly recommend taking classes through Princeton Review or Kaplan. If these are not available, a variety of test prep books are available, and Jean Burke provides her workshops on-line at College Prep Genius. For my youngest Body Smart daughter, test taking is NOT her thing. So the plan, as described in the above article, is to start with the PSAT 8/9 in the spring of Eighth Grade , and PRACTICE the SAT as much as possible. As she is undecided regarding college, I promise to do my best not to torture her. But until she makes a decision, I wish her to be prepared for anything. 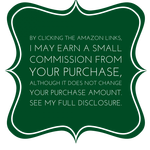 By clicking links into Amazon Marketplace or College Prep Genius, I do earn a small commission based on your purchase. It doesn’t change the listed price, it just supports my glorious book addiction and my new blog addiction.